The Ray Mears Folding Buck Saw Case is, as the name suggests, a protective carrying case designed to house the classic Ray Mears Folding Buck Saw, with an additional sleeve to hold your axe. Produced in an extremely durable combination of canvas and leather, this case ensures that your tools are kept securely stowed for easy transportation. This case is included as standard with each purchase of our Ray Mears Folding Buck Saw; however, early editions did not include the additional axe sleeve or leather shoulder guard, so we now offer this case on its own, either to update your original case, to be used as a spare, or to house other, similarly-sized tools. The axe sleeve has been designed specifically to house either the Gransfors Ray Mears Wilderness Axe, or the classic Gransfors Small Forest Axe. However, it will of course accommodate other axes or tools of a similar size. Made from an extremely sturdy, waterproof canvas with leather reinforcements, the Buck Saw Case comes fitted with a shoulder strap of 550 Nylon Para Cord. This strap features a leather shoulder guard for comfort, and allows you to wear the case across your back, leaving your hands free to carry your firewood back to camp. All of our leather and canvas goods are hand-made in-house by Woodlore's resident leather worker, a craftswoman with over two decades of experience. All leathers are vegetable tanned with full, natural grain, and are hand-dyed in house to the unique Woodlore colour. Ray Mears Folding Buck Saw Case is rated 5/5 based on 15 customer reviews. Holds my buck saw and a spare blade nicely, made of good quality canvas, looking forward to years of service. An ideal case for my Bucksaw and Axe as I store them on the outside of my large pack when out for a few days. This keeps the main camp tools in one place. Great piece of kit. 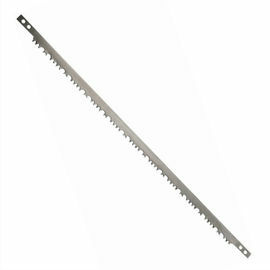 Awesome, not only for the folding buck saw! Great fabric, strong stitching, and lovely leather work which should last a life time. Keeps my saw and axe in great condition. A quality item. Fit for the job in hand. I have fitted a thick, leather strap so that I can use it more comfortably with a heavier axe. Really well made and aesthetically pleasing. Great job. Great product , highest quality. 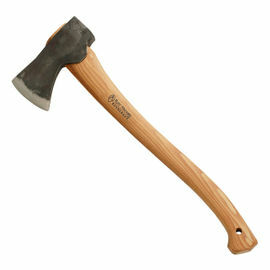 Would not hesitate to recommend this one to someone looking for the best in an axe and bucksaw carry combo. I thought the whole thing was going to be leather but it turned out to be canvas with leather detailing, but it's still pretty cool. Their customer service cannot be beaten and it was a pleasure shopping with them. 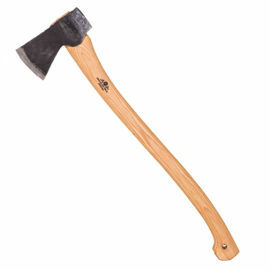 I’ve been looking for a case for my saw and axe and this is the only thing out there that suits my needs. Craftsmanship is impeccable with this; fits my GB Scandinavian and 24 in bucksaw. However, I have to knock off a point for the shoulder strap. The paracord shoulder strap quickly became uncomfortable. It would have been much better if it came with a one inch shoulder strap. To remedy this, just use a shoulder bag strap, sling to a thicker paracord weave. Amazing craftsmanship & quality; I wish I had the patience and skill to work canvas and leather. The securing toggle is really ingenious and my axe is safely secured. I might upgrade the shoulder strap; I do a lot of walking and I have a feeling that the single core strap supplied will quickly dig into my shoulder (hence only 4 stars). I received my Saw Case within 22 hrs of my placing my order! The practical design and the highest standards of materials and craftwork will make this case a joy to use. My thanks to Woodlore.